Although commonly made with vinegar, this giardiniera recipe is even more delicious and healthy since it is made using simple fermentation techniques. I had been waiting for a few weeks for this giardiniera to ferment fully and when I tasted my first bite, I exclaimed aloud, “oh my God, that’s good!” Whenever I catch myself exclaiming out loud after tasting something new, I know I’m on to something! 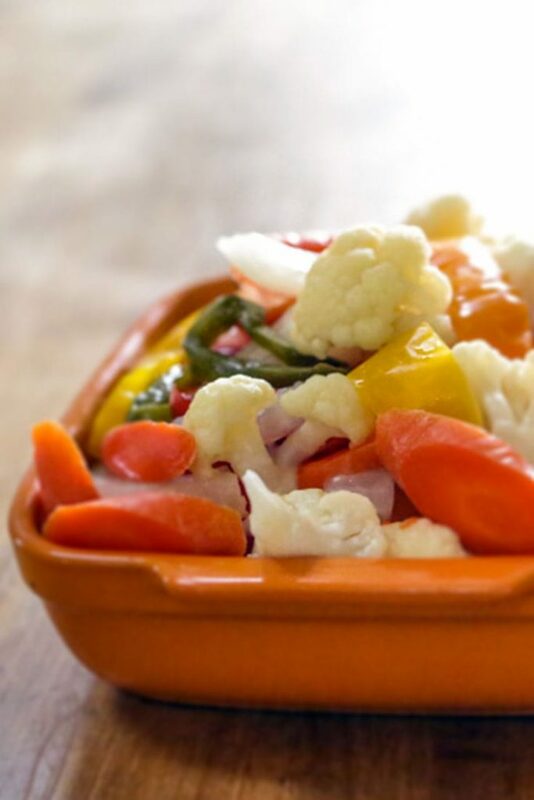 This Italian giardiniera (or giardiniere as the French call it) carries a tart flavor with a nuance of heat, and a perfect texture nestled nicely in the sweet spot between crisp and tender. Most giardiniera recipes (some folks mistakenly call it gardinera without the extra “i”) rely on vinegar for flavor and preservation. 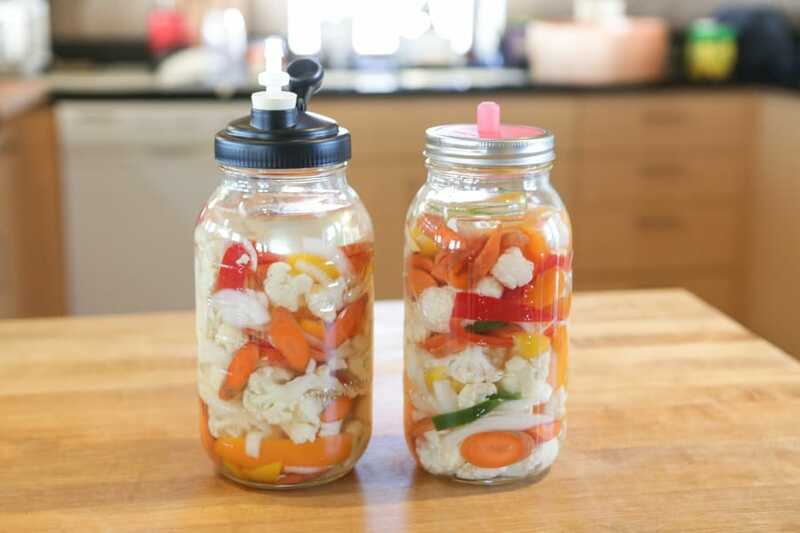 Fermenting giardiniera in this old-world way is very easy and you’ll find it quite satisfying to make. Compared to other fermented giardinera recipes, this recipe calls for significantly less salt. I have found that when using an airlock such as this, there is much less opportunity for contamination and thus we can do with less salt. You are welcome of course to use up to 3x the salt as some recipes call for but I think you’ll find that this reduced salt is more than sufficient when using an airlock. 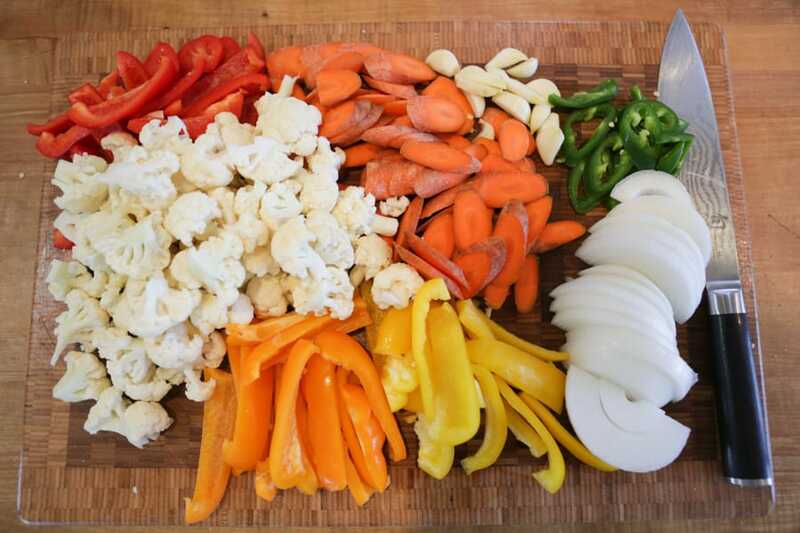 Easy recipe for naturally fermented giardiniera. Delicious. Prepare the vegetables - Cut or break off cauliflower pieces into smaller florets. Slice the carrots on an angle into 1/4" thick slices. Cut the half onion into 1/2" wide slices. Remove the seeds from the jalapeño and cut it into ringlets. Cut the bell pepper into long flat slices approximately 1/2" wide. Peel the garlic and slice each clove in half. I'm such a fan of these Shun knives. Pricey but beautiful and so worth it. This is their Their nicest most beautiful knife is this one. Dissolve the salt in the water - be certain to use non-chlorinated water. 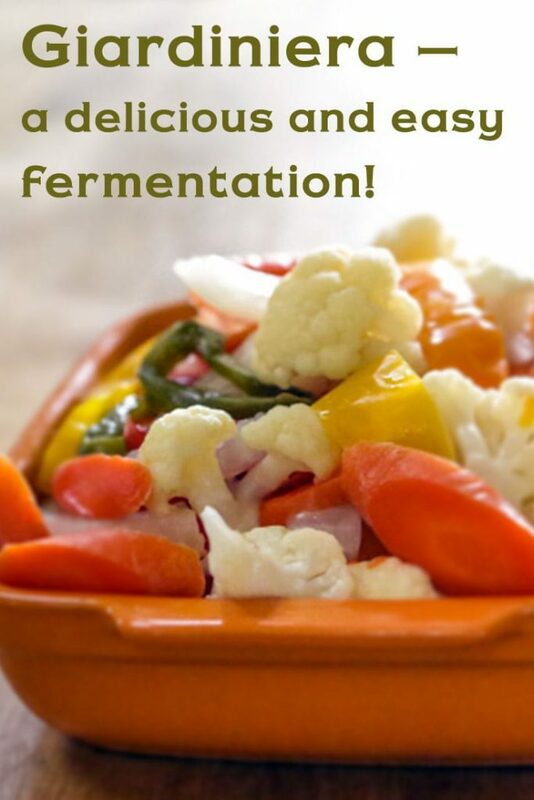 Layer the vegetables - place the prepared vegetables into the fermentation vessel(s). It's nice to use glass for this since it's a pretty ferment to see through the glass. For this recipe, I used a 1/2 gallon Mason Jar. If you want to double the recipe, use two jars or combine into a fermentation crock. Although I often use a 1 gallon jar for many of my ferments, this giardiniera puts off a little more scent during the fermentation process so best to use a fermentation vessel that has some sort of airlock to keep the scent at bay. Add salt water - you can pour enough water in to reach to the top of the veggies. No need to fully submerge as the vegetables will begin to release some of their own water during the fermentation process and the water will eventually more than amply cover the veggies. Place airlock on - I made two separate batches in experimenting with this recipe and used two different airlocks. There are many fine airlocks available. I've been enjoying this airlock lately. If you want to read more about using an airlock, check out Why Everyone Should Ferment with an airlock? Wait impatiently! for a few weeks while the fermentation takes place and enjoy. For those of you who like to check the pH of your ferments as they go forward, this ferment started at a pH of about 6.75 and after three weeks had reduced to 3.5 which explains it’s nice tart flavor. For you more techie/scientific types who may want to measure the pH of your ferments, I can recommend this pH tester. 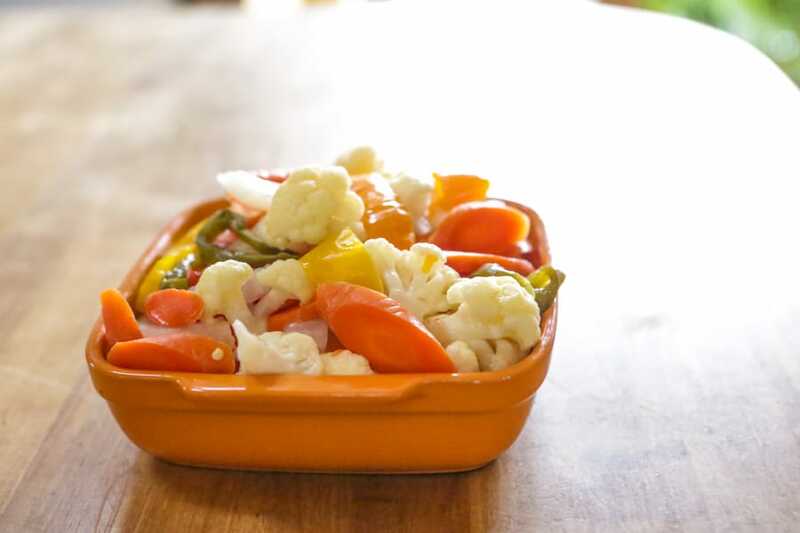 When you make this giardiniera recipe, you’ll have a delicious condiment with many uses. Especially delicious when served on eggs, with sausage, on bruschetta or diced up in your tuna or potato salad. Where I grew up in Chicago, one would often find a Chicago-style giardiniera being offered as a condiment for Italian Beef sandwiches. In many ways that giardiniera of my youth is similar to this. 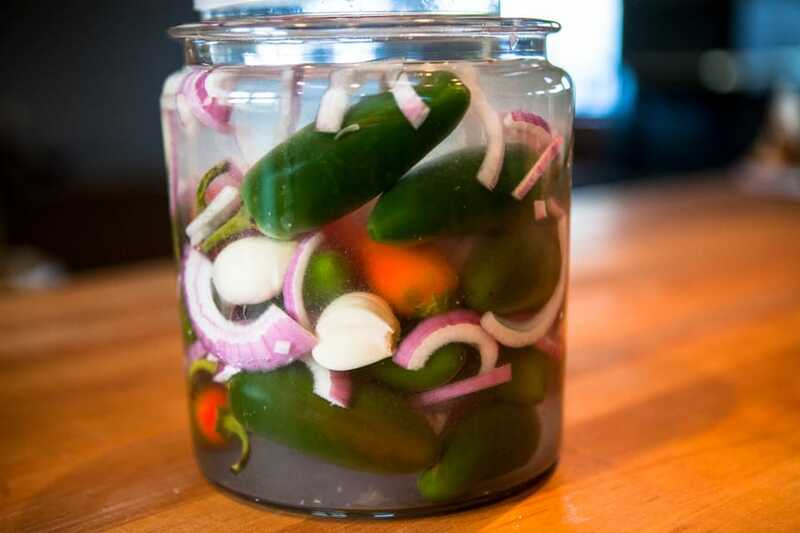 If you are looking for a little more heat to make a more Chicago-style giardiniera recipe version, simply toss in an extra sliced-up jalapeño. I love the sound of this recipe, I definitely will make it; wonder how it would be with some Broccoli mixed in? If you try, let us know. I imagine green beans would work well too. You mention to let the giardiniera ferment for a few weeks. 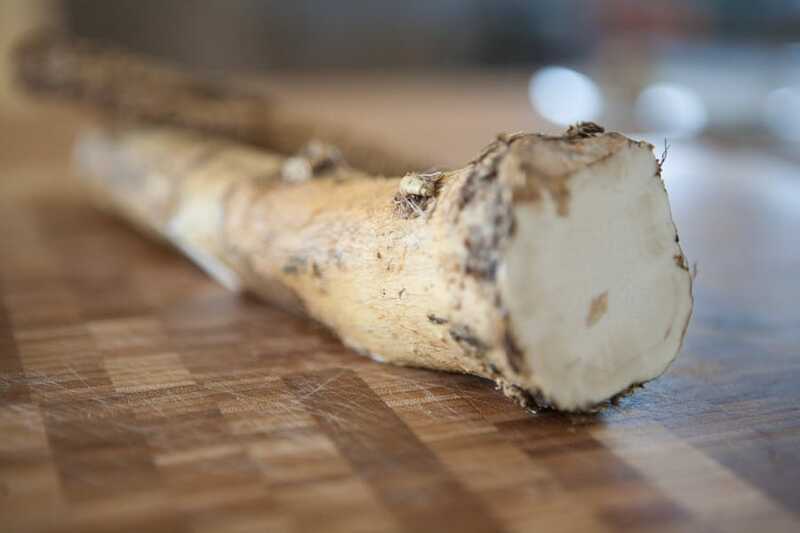 In your experience, is three weeks optimal for flavour or does it need more time? I look forward to making this. Another healthy snack in my fridge…. Three weeks seems about right for this one. It’s plenty tart in that time which to me is what we’re striving for taste-wise. I’m sure you could go longer. In fact, I’m running another batch which I plan to let go for 6 weeks just to test a longer ferment. Thanks! I will start with 3 weeks and will experiment after that…. This has always been one of my favorite treats!! Starting a new batch of red cabbage and beets today, this will be right along side of it!! Thanks!!! Just put in as much as you can get to fit in the jar. I found about 2 to 2 1/2 pounds of ingredients worked for a 1/2 gallon container so approx a 1 to 1 1/4 pounds of ingredients is probably about right for a quart. So yes, halve the ingredients for a quart. Good luck! Do you refrigerate while fermenting or just shelf it? I ferment at room temperature, which in my case is roughly in the 70 degree farenheit range. I then refrigerate once the taste is around where I want it to be. I have a question, first time using only salt, have used whey in all my other projects. There is a rim of white all around the top right at the top of the liquid, is this normal?Is it just a salt thing? I put this up on the 19th and it just showed up a couple days ago. It is very likely kahm yeast that is growing on top of your ferment. Along with the bacteria needed for fermentation, the vegetables we use also often are home to natural yeasts. That yeast sometimes can take hold in a ferment as well. I can’t make any guarantees as to food safety, especially at a distance, but when ferments go bad, it’s usually because a mold has set in and that often gets fuzzy and can have an unpleasant odor. Kahm yeast is generally harmless in consumption, but you need to make your own decisions as to what is good or harmful for your own body. I’ve been running further experiments with the giardiniera and ended up with a kahm yeast growing on one of mine as well. To remove kahm yeast, i generally just place a paper towel atop the film and let friction and absorption pick up most of it. I then swipe around the edges inside the vessel with another paper towel to remove more of the yeast. I made mine just short of two weeks ago and also have the white film at the top of the liquid. I also seem to have a white sediment in the bottom of the one gallon glass container I am using. I have sampled a few pieces of the vegetables, and they seem fine: getting crunchy and tart. Is it likely this same kahm yeast that I am seeing at the bottom? Do I need to worry about it? I replied to a comment on this same recipe not too long ago which referenced the same issue. I too had some Kahm yeast on another batch of giardinera. I don’t know about what is at the bottom of your ferment. I’ve only seem Kahm yeast on the surface. Use your taste and instincts on this. Food safety is always best left to the individual as I can’t really assess safety from a distance. Good luck! Wow, that sounds so much tastier being fermented! Just found your site, and I am loving all the recipes! Definitely going to try one… or twenty. Am I crazy to double this recipe? I have a nice 1 gallon jar I picked up at my local international market, and I would like to make a big batch of the giardiniera. Am I overreaching for my second go at vegetable fermentation? Absolutely go for it! It’s a delicious one! Made a 5 liter crock full. 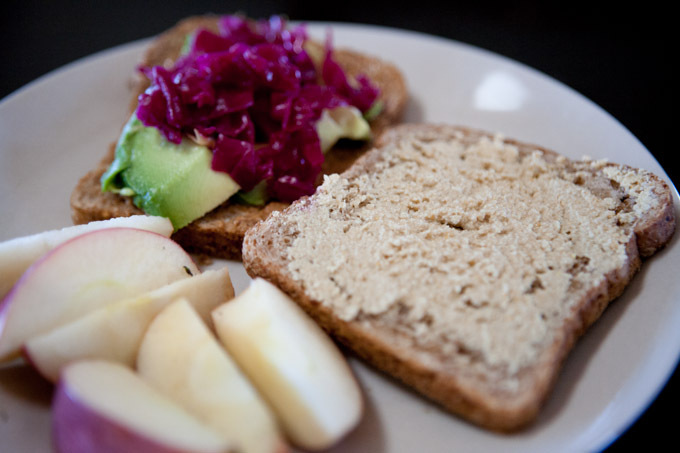 Substituted the onions in the recipe with pearl onions. Also, just checked after five full weeks and found it’s not quite tart enough. Nice and tender crisp, but still a little bland. I’ll give it another week before transferring to quart jars and vacuum sealing then storing in the fridge. Any ideas for increasing the tartness sooner? Given that you made more than I did in this recipe, it’s possible that you ended up with more water in yours and thus diluted the acidity a little more and thus the tartness hasn’t appeared as you might have liked. No harm in leaving this one out as long as you like to continue to mature and get more tart. If it were me, I’d leave it out indefinitely until the taste comes around to your liking. It will of course continue to get more tart over time in the refrigerator as well, albeit more slowly. No other suggestions really. I’m making this in a taller Kilner fermentation jar with airlock – after a few weeks, once it’s ready to put in the fridge, can I transfer to smaller jars and is it necessary to keep the liquid brine? I would definitely transfer the liquid brine to the smaller jars if you transfer. Good luck!